Standing desk is a nice and healthy thing. It has a lot of benefits compared with a regular sitting one. That is why standing desks are so popular nowadays. However, how do you choose a perfect height of it? The height of the desk is not the only thing you should care about. As it is for sitting, there are some recommendations about different distances for standing as well. The distance from the floor to the desk itself (keyboard) should be 60% of your height. For example, with a personal height of 64 inches you need a keyboard to be on 39 inches height. In addition, you may adjust it so that your elbows are 6 inches higher than the keyboard. The top of the screen should be slightly lower than your height is. For the same example, if you are 64 inches high, then the screen is good on 59-60 inches from the floor. There should be 20-30 inches from your eyes to the screen. This distance is same for everyone. The monitor should be tilted on 10-20 degrees, so that it is easier for you to look at it. 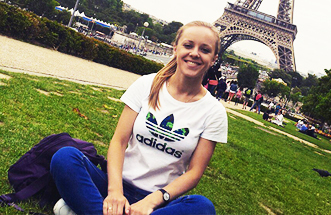 By the way, the angle is the same for sitting. 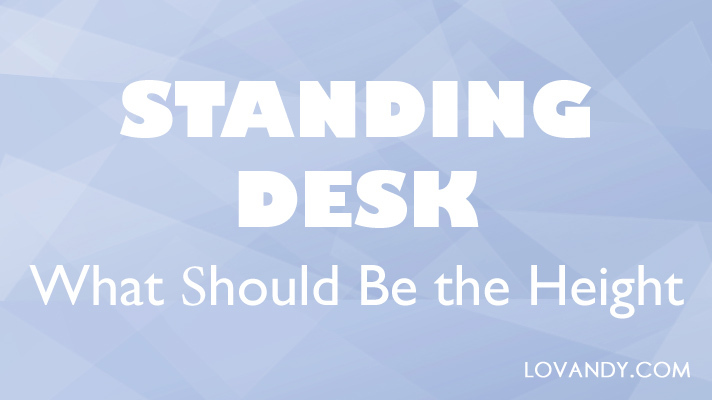 Make sure you can stand freely at the desk. Your legs should not be straightened too much. The idea is to be relaxed. Do not take all these recommendations as must-do rules. They are just recommendations actually. 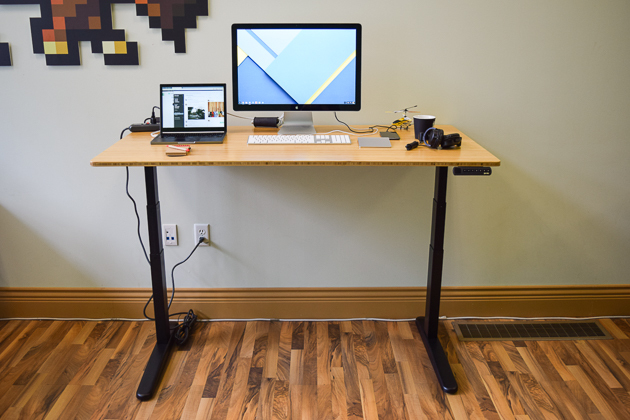 Simply make sure that you have adjusted your standing desk to fit you best. Anyway, the idea of this thing is to make working easier and less exhausting.